Most carmakers follow a family design approach today and Hyundai is one of them. Look at their line-up and you can see the similarity in design approach between the Grand i10, Elite i20, Verna and the Santa Fe. They all look like they belong to the same clan, especially because of the family hexagonal grille. However, the newest car from the Korean manufacturer seems to break away from that mould. Don't get fooled by its face, the car you see here is very much the Fluidic Verna that one sees so often today. So how does it end up looking this different, you ask? Well, the car has just received a major facelift. But is it more than just a cosmetic upgrade? The car you see here isn't an all new car. 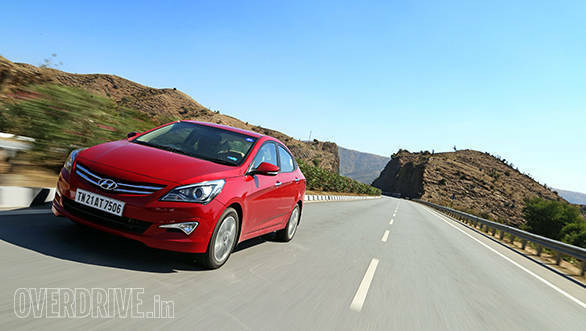 In fact Hyundai have done this before - that is, give the Verna a facelift just before the next generation model arrives. They've done it before with the Verna Transform and now this, the Fluidic Verna 4S. The four S' stands for safety, style, speed and sophistication. In terms of styling, the most obvious change is the face. The redesigned front gives the car a completely different character. 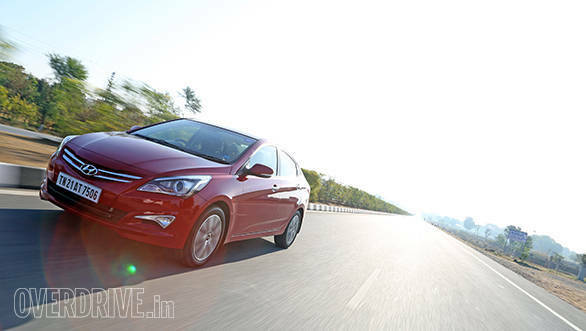 From being one of the most striking cars in the segment, the Verna, with its new face, has gone to looking rather bland. Gone is the hexagonal grille and in comes a smaller but boring twin-slat unit. The standard projector headlamps are a lot more sharp and resemble a certain new Maruti sedan. And in turn, the Maruti's tail lamps look more like a certain Honda rival. While the previous update to the Verna gave it daytime running LEDs, the 4S ditches them. The fog lamps follow a boomerang design and the housing uses quite a bit of chrome. Move to the side and apart from the fender that is slightly different, everything is identical to the outgoing car. So the wheelbase is exactly the same and the coupe-like roofline persists. The diamond-cut design 16-inch wheels in the top models have also been retained. 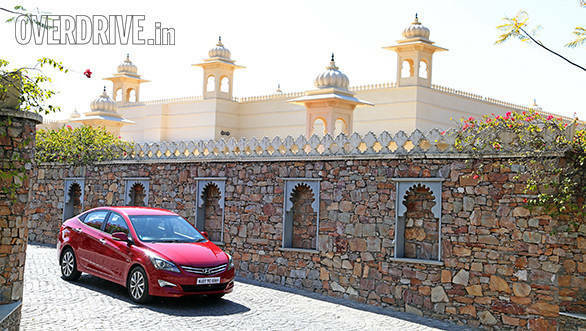 The rear gets a minor update, the tail lamps feature a new cluster with an LED like effect seen in the Elite i20. The bumper features new design reflectors and the exhausts are now concealed. 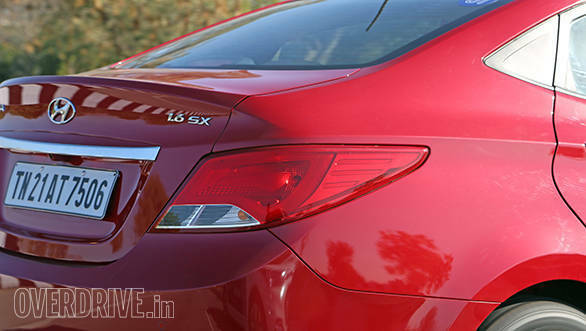 We still like the previous Verna's rear since the dual-tip exhausts gave it some identity. The interior is identical to the previous car. Hyundai claims that the materials used are better but we didn't find them to be different from before. The design is beginning to look dated now especially when compared to its rivals. In terms of comfort, the rear seat no more offers more support thanks to extra padding. Cabin space remains the same, it isn't best in segment but is still impressive. 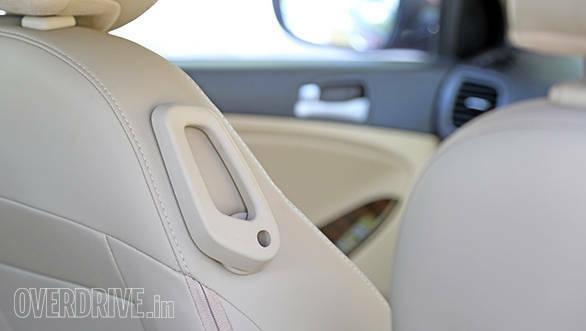 Hyundai is now offering an ergo lever too, a handy co-driver seat adjuster that can be accessed by the rear passenger for better knee-room. The car also gets tweaked dynamics, the steering is claimed to offer better response at lower speeds and requires less effort. However, the steering feels heavier than before and is still vague in terms of feedback. Overall ride quality has improved though - the spring rate has been changed while a bump stopper with etching has been offered to reduce noise when the suspension bottoms out. 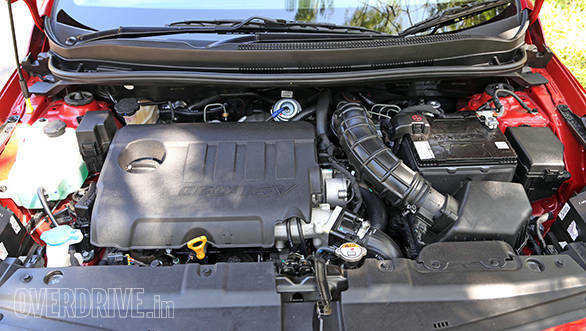 The 1.4-litre and 1.6-litre petrol and turbo-diesel engines have been retained and produce the same power as before too but the diesel motors now return more to the litre. The 1.4 now returns 24.8kmpl while the 1.6 has increased to 23.9kmpl (up by 1.5kmpl and 2kmpl respectively). 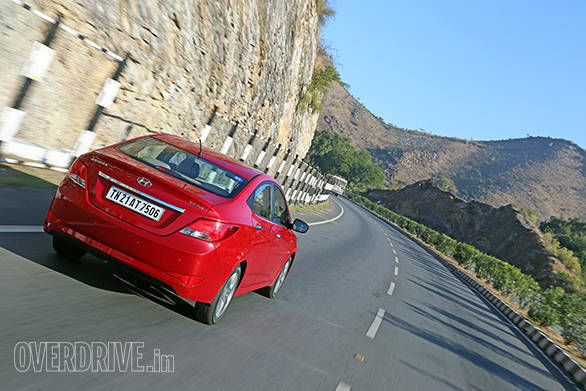 The 1.6 diesel Verna is still the most powerful in this segment and the motor is also a lot more refined than its rivals. The Verna gets a lot more features too. ABS is standard across the range while the top variants are back to being offered with six airbags. Additional comfort features include auto headlamps, rain sensing wipers and a new stereo with a 1GB storage option. 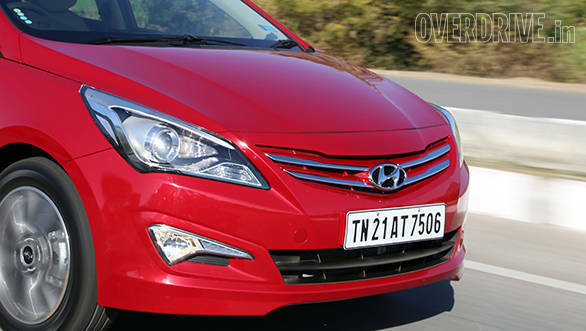 Prices may increase slightly but it will make sense if Hyundai stick to the existing price. 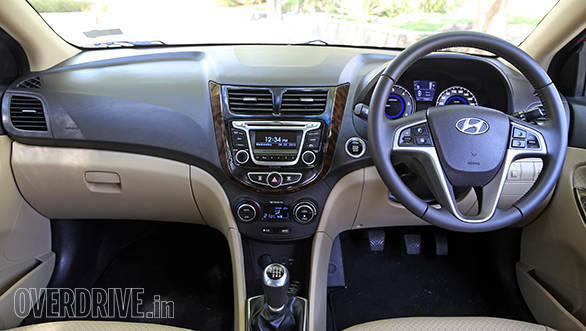 Overall, the car is an improvement over the outgoing model but it still doesn't better the City and the Ciaz. Hyundai are already working on the next generation model but one will have to wait for that till 2016. But the number of updates seen in this car is a sign that Hyundai are headed in the right direction.